You know a person has received one too many parking tickets, when…they start making their own fakes to prevent officers from giving them more. One woman from Suzhou, China, decided to park in a no-parking zone and then proceeded to leave a fake parking ticket on her car’s window so that the policemen would think one of their colleagues had already fined her. She was able to sneak by for quite some time, until one day, an undercover police car was sitting their waiting to see her performing this illegal act. Continue reading for more strange, yet true, stories about real people. 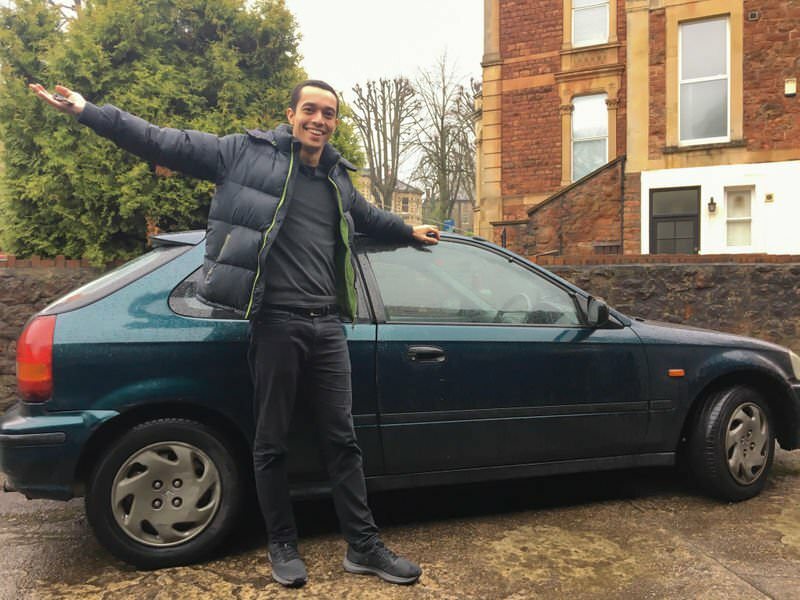 Tom Church, a 27-year-old from London, UK, wanted to visit a friend an colleague in Bristol, just 100 miles away, but noticed the train ticket was quite pricey to say the least ($311). So, after some research, he discovered that it would actually be cheaper to buy a used car, and that’s exactly what he did. “I found the car on Gumtree. The lady I bought it from, Sutinder, was basically selling it for scrap. It’s a very old car, 1997 Honda Civic, but the MOT was fine. Plus, the engine was small enough that I could get the cheapest road tax: a minimum of six months for £81.38. The total cost was £206.81. Less than just one train ticket. And I still have a car at the end of it!,” said Tom. 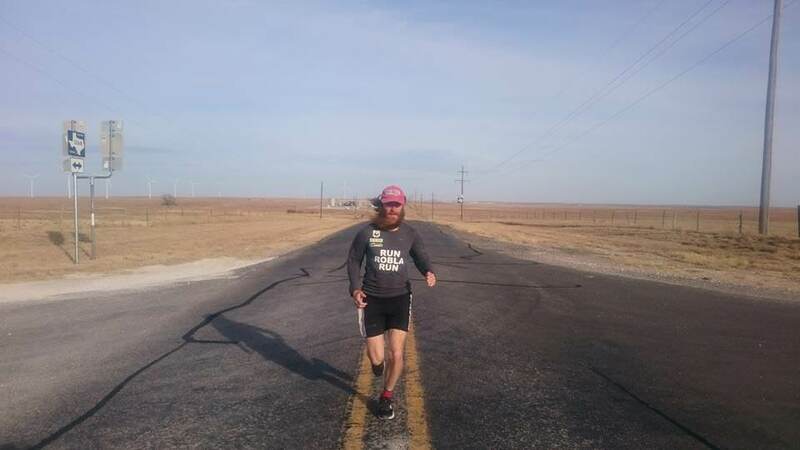 Rob Pope, a 39-year-old veteran from Liverpool, UK, spent just over a year of his life recreating Forrest Gump’s amazing coast-to-coast trek across the United States. He even quit his job in order to complete this monumental challenge, and has been running an average of 40 miles a day through inclement weather. “So far I’ve surpassed the supposed number of miles Forrest achieved – 15,248, by about a hundred or so. By the end I’d have run nearly 15,600. I think the film – and specifically the character of Forrest – is a beautiful tale of life and how we should treat one another. Forrest didn’t judge anyone, not on the color of their skin, background, intelligence or anything else. If everyone could be a bit more like Forrest, the world would be a better place,” said Rob. Back in 2014, Gao Yiping had just completed work on his 3-storey house in Zhouxi, and had only lived in it for just over a year when local authorities notified him that it was standing right in the middle of a new road construction site, thus it will be demolished. 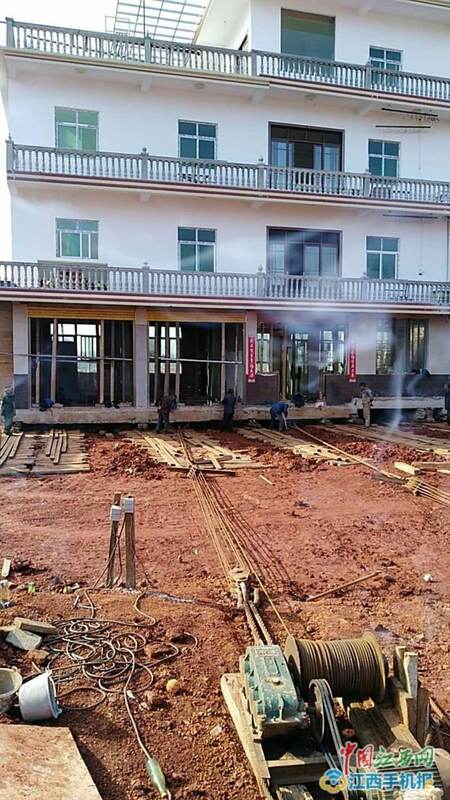 Even though the state would offer some compensation, Gao, who spent around 1 million yuan ($160,000) and several years building his dream home, started looking for alternative methods of saving the structure. What happened next? He would spend the $63,000 in compensation from the Chinese government, and hire a moving company to move his entire home 40-meters. After all was said and done, Gao paid a total of $35,000 to the moving company, as well as another $17,500 to have the house detached from the foundation and then renovating the entire floor.